We all use food to affect our moods all the time without even thinking about it. It is that connection between mind, body and soul that determines how healthy we are both emotionally and physically. Did you know that milk acts as a very good mood lifter because it contains tryptophan, an amino acid that is used in the production of serotonin. Serotonin is the 'feel good' neurotransmitter in the brain, so making more of it improves your mood and sense of well-being. Likewise, whole-grain rice or pasta also boosts serotonin levels, while the slow-release aspect of the carbohydrates helps to sustain the good feelings. Since whole grains are digested more slowly, they provide you with a longer-lasting effect than you get from simple carbs. Heat oil in skillet over medium heat. Add onion, chili powder, cumin-coriander powder. Saute for 5 mins. Stir in tomatoes and tofu. Cover and cook for 6-7 mins. Finally add lime juice and cilantro. Adjust salt as per the refried bean taste. To Assemble: Spread beans on tortillas and top with tofu mixture. Garnish with tomatoes, avocado and cilantro. This also makes a prefect entry to this month's Monthly Mingle:Brunch. It looks great, Siri. 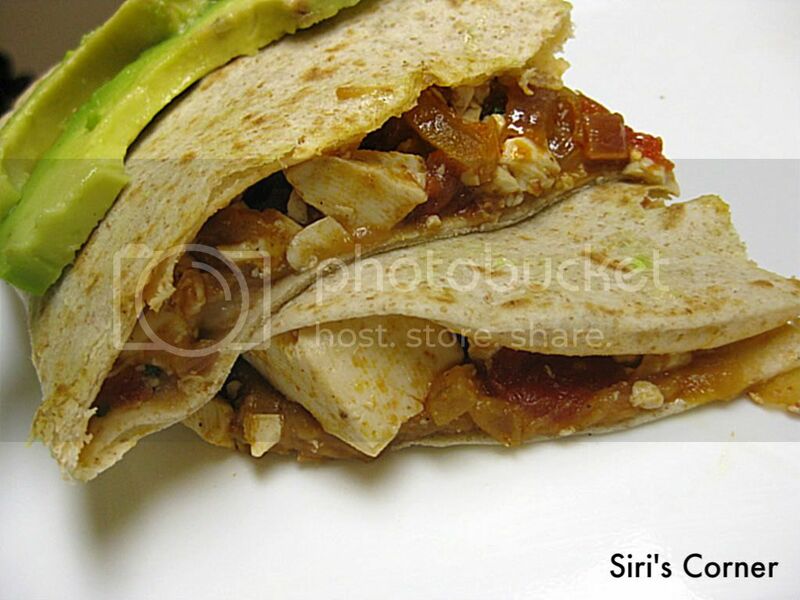 I love Rancheros and my husband loves tofu, so this'd be perfect for a weekend! And I so agree about food uplifting us or making it worse! Food has SUCH a strong effect on my mood. 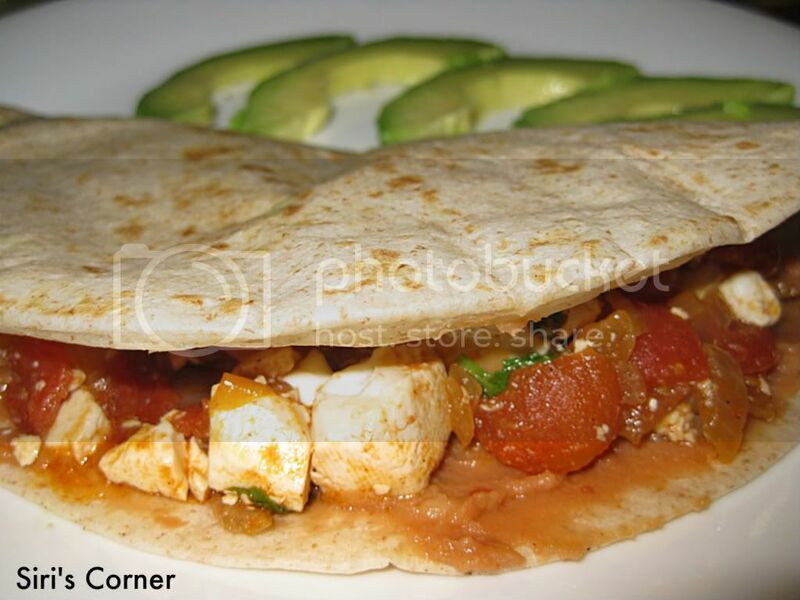 These tofu rancheros would definitely help me to wake up on the right side of the bed! This is a lovely recipe. Luved it!